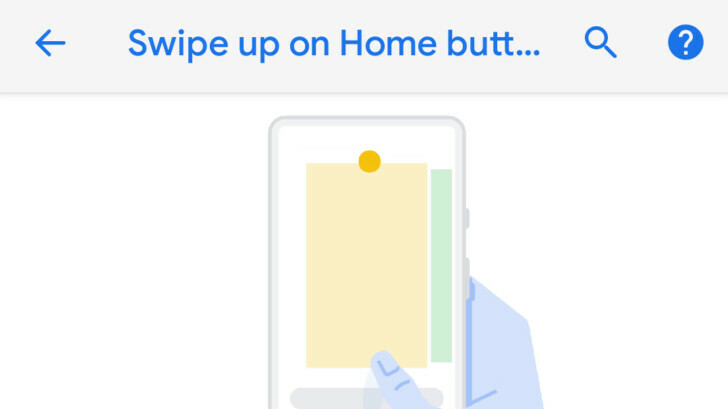 Results: Android P's gesture interface — potential hit with the fans? Google's Android P is going to have a new gesture-based interface, as demonstrated at Google I/O and also visible in the beta build, currently available to the public. Said interface gets rid of the Recents button and turns the Home one into a nub — scroll up for task-switching, scroll sideways to swap between apps. Yeah, those gestures and setup sound a little bit iPhone-ish. So, we wondered if the new system would attract the anger of fans, and we asked. But it looks like many are willing to give the new controls a chance, and some even loved it at first look. Only about 18% voted that they will just switch back to the classic navbar and stay away from all that swiping ordeal. Well, here's hoping that Google leaves the option in! Do you have to put a "?" when the answer is clear? "I'll give it a chance" means not clear. It's just giving a chance to see whether it is worth it or not, which moderate people always do for something they don''t know much about. At the end of the day Android P users can use the new Gesture based interface, or stick to the old reliable navigation buttons. So nobody has to worry about which method they prefer. It's in the Android settings. After all this isn't iOS that doesn't give it's users a choice. I'm still getting used to it on my Pixel 2, but I think it's growing on me. I like the simplicity, and I especially love the prompt to rotate your display on the navigation bar. lol, thus far, that's my favorite feature. Someone’s word I can take. Someone who’s not a fanboy. LOL, well, I actually am a fanboy/Google enthusiast, but at least I'm upfront about it. I was only telling the truth darkkjedii. You’re absolutely right. Apple wouldn’t release a half baked feature like this. Thus the option. What’s the point if the home and back buttons are still there? BlackBerry OS had this years ago......iPhone-ish? In fact it was even built into the physical keyboard of the Passport which was also a track-pad. Some of you probably think Apple invented the first capacitive touch screen phone and do not remember the LG Prada was first https://en.wikipedia.org/wiki/LG_Prada . Kids learn your phone history. And before LG some little company had it first. Who cares who does it first, it’s who makes it useful for users. BB os was on its way out already and it was clunky. Kids, learn proper implementation and how it matters most. Android is an inconsistent resource hog mess. Just try changing from one brand of Android phone to another and you will see what I mean. At least BB OS was consistent, stable and required few resources. You are correct there actually. I was hoping bb os would survive but the lack of apps were killing it slowly. It is still alive since BB recently put out an update for OS 10.x. But it is true if you use allot of apps it is probably not for you. If you can survive mainly using a web browser then it can still be usable. WebOS multitasking & gestures lives again through Android P(the P secretly stands for Palm :-P ). I hate gestures.. i make fun of the iPhone X for it i don't wanna be sick and forced work it.. i like having the separate buttons and such..
Then don’t update to, or buy a phone with it. Cool, well that was easy. lol, Thanks.